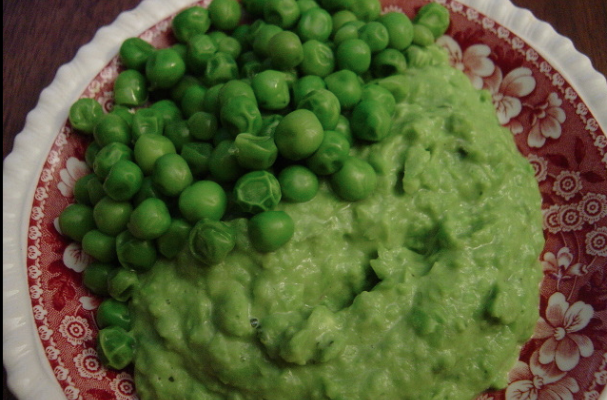 Smashed mint spring peas is an updated version of this classic English recipe. Mint and peas are a natural pairing, the sweetness of the peas compliment the boldly flavored mint. This quick and easy side dish is perfect with fish and chips. Heat the oil in a pan and add the chopped onions, mint, and peas. Cover and leave for a few minutes to steam. Pulse with heavy cream in a food processor or blender until smooth. Add a dollop of butter on top and season to taste.